WASHINGTON -- Mazda has a creepy crawly culprit in its new safety recall - a spider. After discovering spider webs in the vents, the Japanese automaker is recalling more than 50,000 Mazda6 cars from the 2009-2010 model years in the United States and an additional 15,000 vehicles in Canada, Mexico and Puerto Rico. The company said Thursday a spider could weave a web in a vent connected to the fuel tank system and clog up the tank's ventilation. Pressure on the fuel tank could lead to a crack, causing fuel leakage and the risk of a fire. Mazda said it was unaware of any fires, injuries or crashes in the vehicles. Mazda spokesman Jeremy Barnes said dealers had identified 20 cases in which spider webs were found in the vents. The webs were linked to yellow sac spiders, Barnes said, but it was unclear why they were crawling into the Mazda6 rather than other vehicles. Adding to the mystery, Barnes said the arachnoid attraction to the sporty cars - which the company has marketed with its "zoom-zoom" tagline - had no specific connection to a particular region of North America. "Perhaps yellow sac spiders like to go zoom-zoom?" Barnes quipped. The recall involves vehicles with V4 engines built from April 2008 to February 2010. Owners will be notified by mid-March and told to take their vehicles to dealers for inspection and repairs. 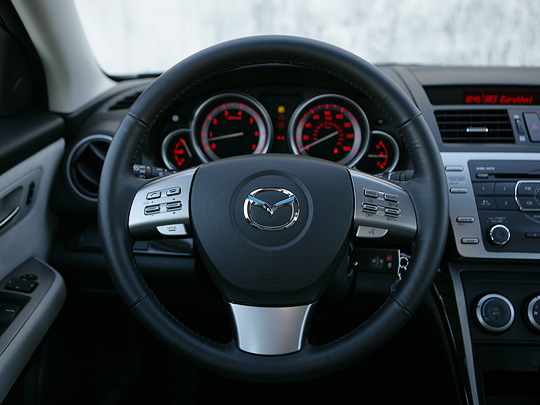 Customers can call Mazda at (800) 222-5500.